A toilet bidet attachment is one of those things in life that you have to try for yourself in order to appreciate. Many people in America have not ever seen or used a bidet, because it still remains a rarity here. However, once you try it, you will never want to go back to dry toilet paper! Installing a separate bidet toilet can be very expensive, so instead you can opt for a bidet toilet attachment for a fraction of the cost. Still, you will enjoy all the same benefits! 1. Cleaning with water offers a much nicer, cleaner feeling than cleaning with toilet paper. Men especially struggle with this issue, and often have to shower after a bowel movement. 2. Great for pregnant women, who at the end of the pregnancy have a harder time wiping with paper and reaching where it needs to be cleaned. A bidet attachment eliminates this problem entirely. 3. Tremendously useful for menstruating women, who need to clean themselves a few times a day during the cycle. 4. Elderly people, who have a harder time cleaning themselves, will have a much easier time and greater success using a toilet bidet attachment. 5. It is great for children, and offers a higher chance of their rear ends actually being clean after going to the bathroom. 6. Installing a bidet attachment will not disturb your bathroom layout, as it does not require any major remodeling, plumbing, etc. 7. The comfort you feel is so great, you will never want to give it up. If you try a bidet attachment with a heated seat, warm water and an air drying feature, you will think you are in heaven. However, models without the fancy bells and whistles still get the job done and feel pretty good. How to install a Bidet Attachment (Zen Bidet) – Step by step guide with pictures – takes 20 minutes to do it yourself! Save trees and help the environment! It may come as a huge surprise, but in just one day Americans use 34,000,000 million rolls of toilet paper! It takes 221,000 trees, 225,000,000 gallons of water, 88,000,000 lbs of greenhouse gases and 161,000,000 KWH of electricity to manufacture these rolls. Imagine how much better off our plant would be, if we cut down or eliminate our use of toilet paper. 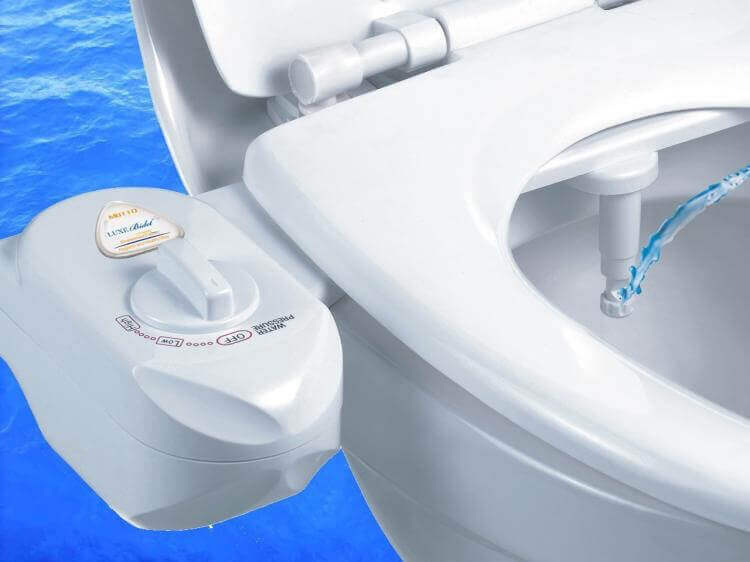 With a bidet, you will no longer need to waste money on toilet paper or wipes. Good quality paper is not cheap, and over the past few years it has actually continuously gotten more expensive. Today, 1 roll of toilet paper costs an average of $3. A typical person uses about 57 toilet paper sheets in one day, so they end up finishing the roll in about 4 days. Also, if you have a large family, you are really spending a lot of money on toilet paper. Having a bidet, can save you at least 75% on toilet paper. Overall, a bidet attachment is a cheap investment that saves you money every day on toilet paper. Even the fanciest bidet seat with the latest technological advancements costs around $300, but you can get an attachment for as little as $25. If you are debating installing a real bidet vs a bidet attachment, there are a couple of considerations to keep in mind. The primary once is cost. Installing a real bidet will cost $3,000-4,500+. This is because the bidet toilet itself costs anywhere from $350 – 1,600. Moreover, there is also installation cost, which can run from $500-750 to 1,000-3,000+ depending on how much work will be required. By comparison, a bidet attachment starts as low as $25 and even the fanciest brands cost around $300-400, which is the starting price point for a budget toilet bidet. The second consideration is bathroom size. Most bathrooms, both in apartments and homes, are 5×8 ft, making them too small to install a second toilet. Unless you have a huge master bathroom, getting a bidet attachment may be the only realistic option. If you do have a large bathroom, you need to ensure that your plumbing system will allow you to install a second toilet. 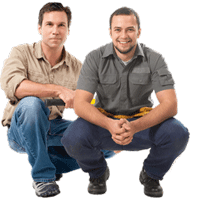 Sometimes, these updates can be very easy, but often a lot of complex plumbing work may be required. It is best to get an free estimate from an experienced contractor or plumber, to get a sense of how much this project could cost. You can also refer to our Remodeling Costs Guide to get pricing for all bathroom related updated. Lastly, if you already have a remodeled bathroom that you are happy with and don’t want to spend a lot of money, we would recommend getting a nice bidet attachment. However, if you are planning a major bathroom remodel or are building a brand new bathroom, then it would make sense to get a dedicated bidet toilet, since you are already spending a significant amount of money anyway. 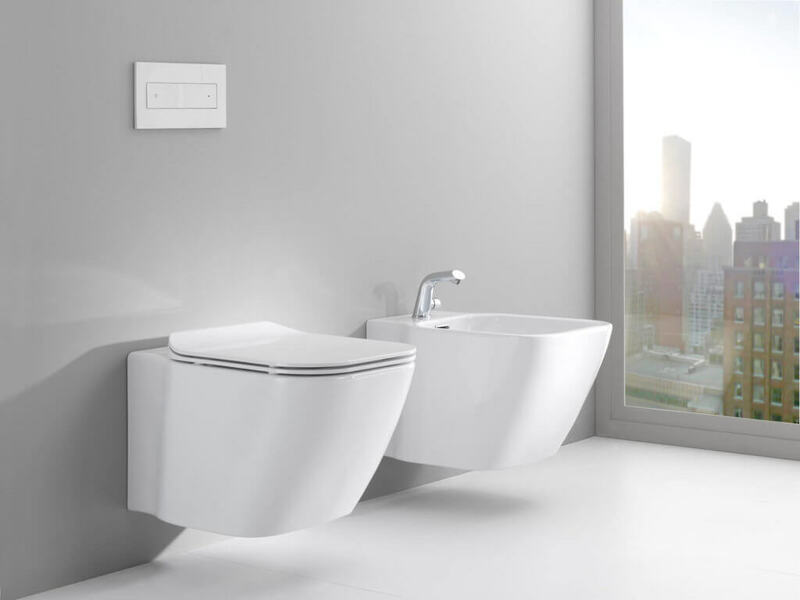 A dedicated bidet is a great idea especially in a luxury master bathroom. Absolutely correct. Everything in this article is gold. Obviously being BioBidet I’m biased towards our own product but pushing the #bidetlife is bigger than that. Bidet popularity in the US is only growing with each new year and it’ll only be a matter of time before they’re commonplace everywhere. Plus, many elderly and disabled Americans NEED to use the bidet. So if we’re all ultimately heading that direction, why not jump on board early?